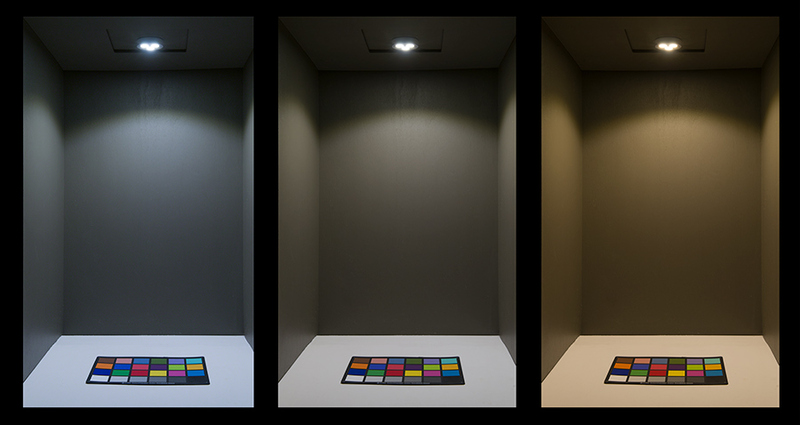 LED Puck Lights - 25 Watt Equivalent: Shown On In Cool White (Left), Natural White (Center), And Warm White (Right). 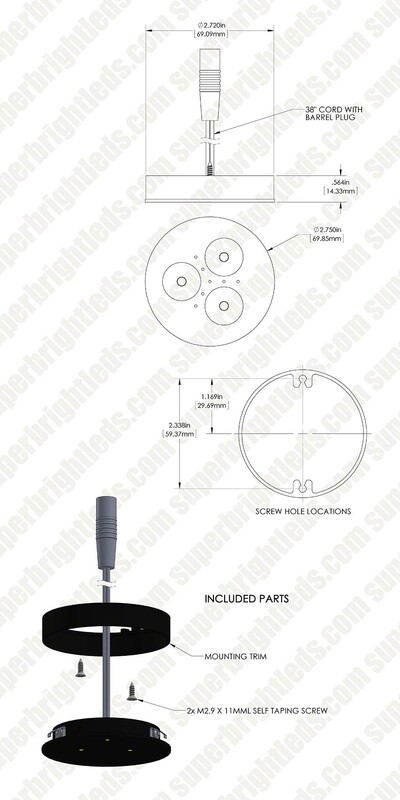 3 Watt LED Puck Light Fixture - Warm White: Detail Image Of Mounting Case Removed. 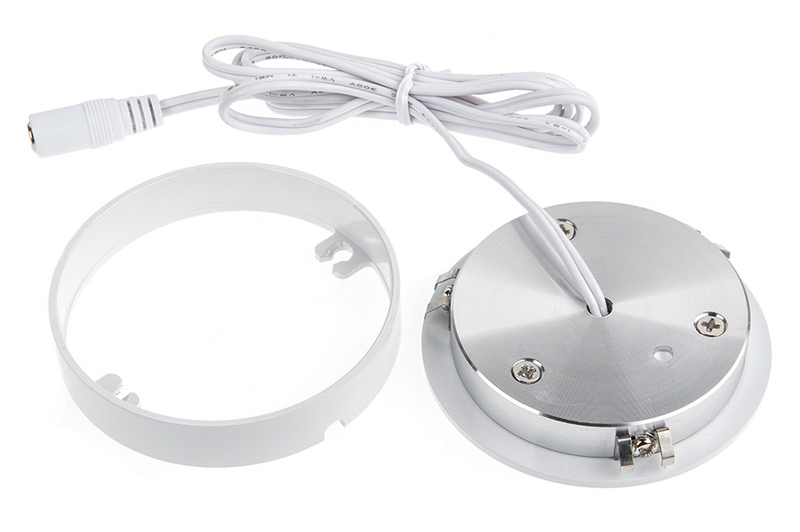 3 Watt LED Puck Light Fixture - Warm White: Showing The CPS Connection End And Included Mounting Screws. 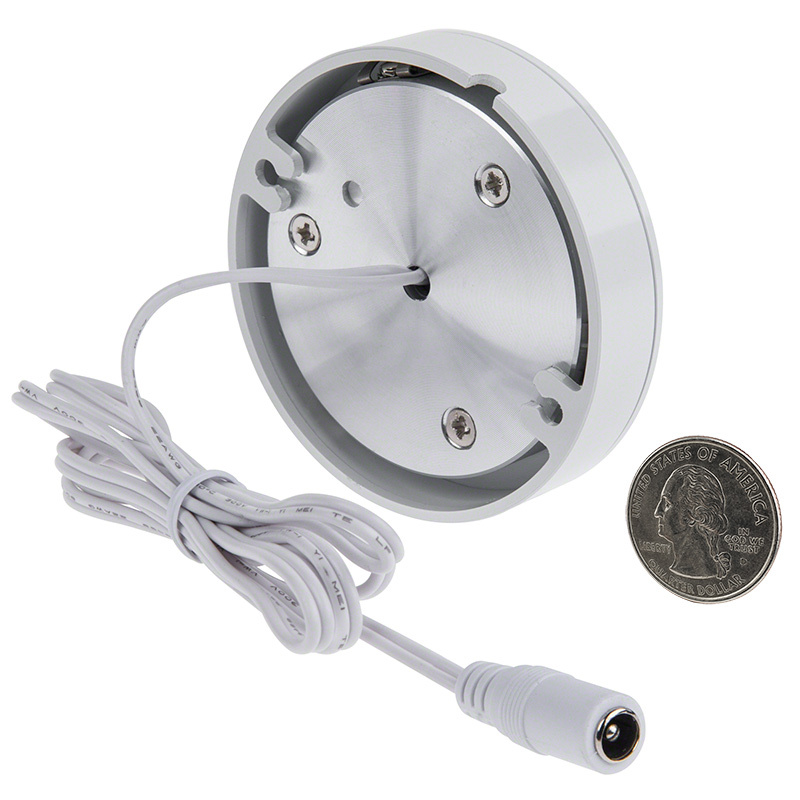 3 Watt LED Puck Light Fixture - Warm White: Shown Connected To CPS Power Supply And Power Supply Splitter Cable (Sold Separately). 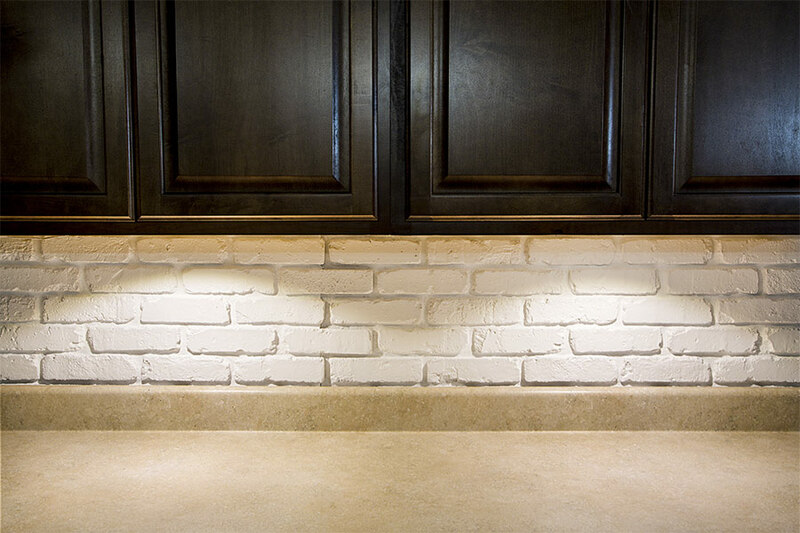 3 Watt LED Puck Light Fixture: Shown Installed Under Kitchen Cabinets In Warm White. 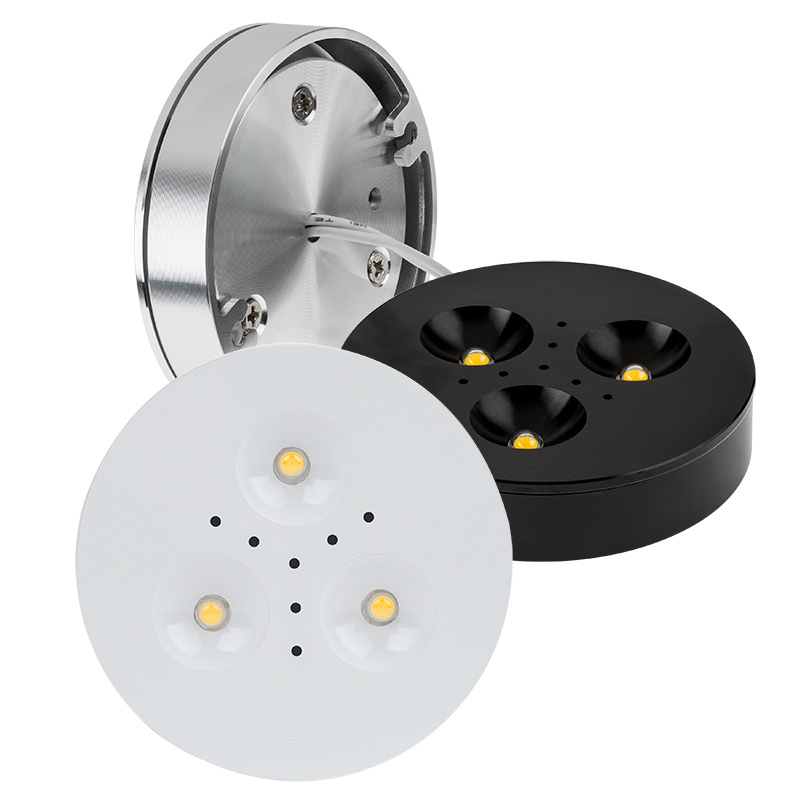 These miniature LED puck lights are designed for under-cabinet lighting, kitchen lighting, closet lighting, hallway lighting, home theater lighting, workbench lighting, and more. 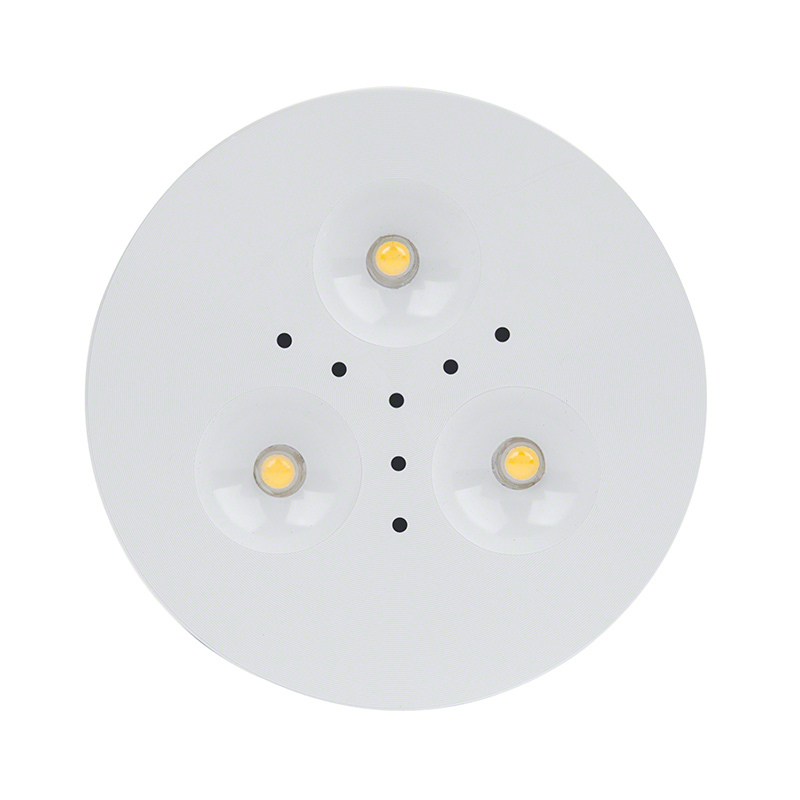 Using 3 LEDs, the puck light emits up to 255 lumens of cool white, natural white, or warm white illumination. 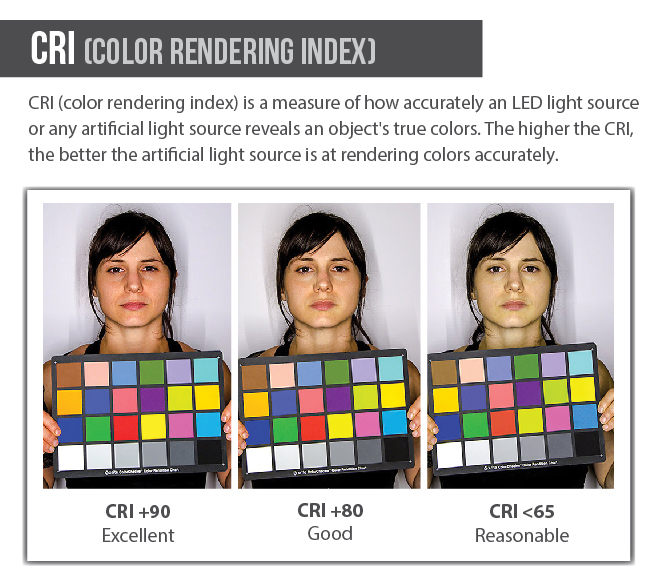 And with a high color-rendering index (CRI) of up to 85, the LED fixture shows the true colors of objects and surroundings. This energy-efficient LED light consumes 3 watts of power; an incandescent bulb with comparable light output would consume 20-25 watts. 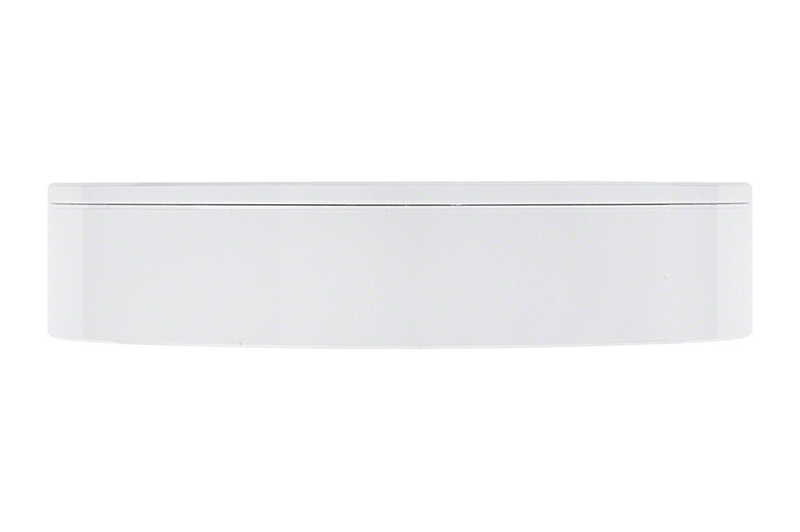 The surface-mount light is available in white, black, or aluminum with removable trim rings and operates within a 9-14.5V DC range. 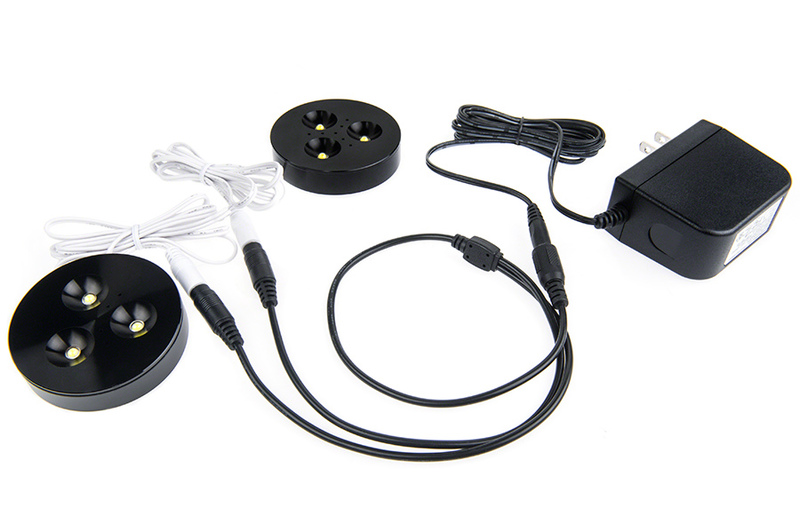 Easily power the LED puck light using its female DC connector and a compatible power supply (sold separately). 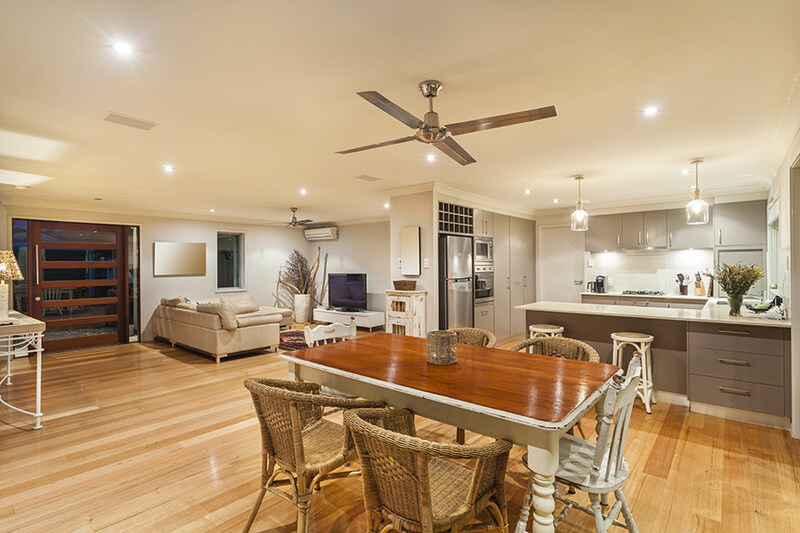 We are a high-end kitchen remodeling contractor. 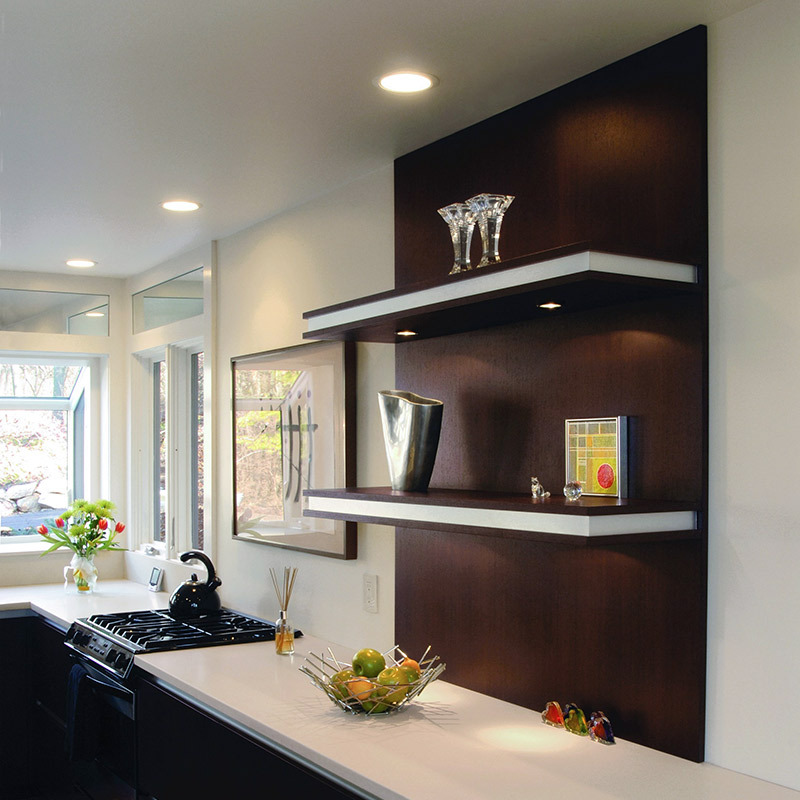 We use these as under-cabinet lighting because they are very effective, attractive and please our customers. Ordered a few of these along with some other choices to replace some ceiling lights in a yacht. The aluminum base and ring are actually machined aluminum, not sure how china does this for this price but they are beautiful. The lights IMHO are too bright for me to use as ceiling lights as it hurts to even glance at them, HOWEVER they are perfect for under the boats kitchen cabinets which is lower and never can see into the actual bulbs. These are very bright lights and are probably 3 or 4 times brighter than the 10 watt halogens I am replacing. Installed two of these over the counter in my galley as task lights for cooking, cutting and dish washing. Very happy with the results. Low profile, attractive and very bright. The warm white are 3400K with 85 CRi so food looks like food and everything is well lit. Agree with another reviewer...these are too bright for ceiling lights. The under counter installation makes it so the LEDs are never directly visible. I used the warm white Mini Recessed LED lights (Part Number: MRL-xW9SMD) for the ceiling (8 of them) and it makes a nice, warm even light throughout the cabin. They are 2900K and below the recommendation for night lighting (3000K), so no disturbing the melatonin. All that for 480mA for the galley lights and 720mA for the cabin lights. 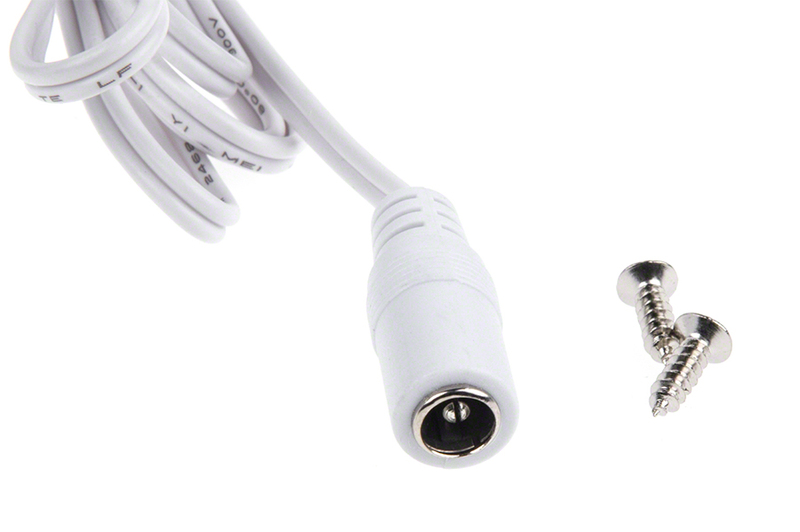 I purchased this to insert into a spiral desktop lamp that I had 3D printed. 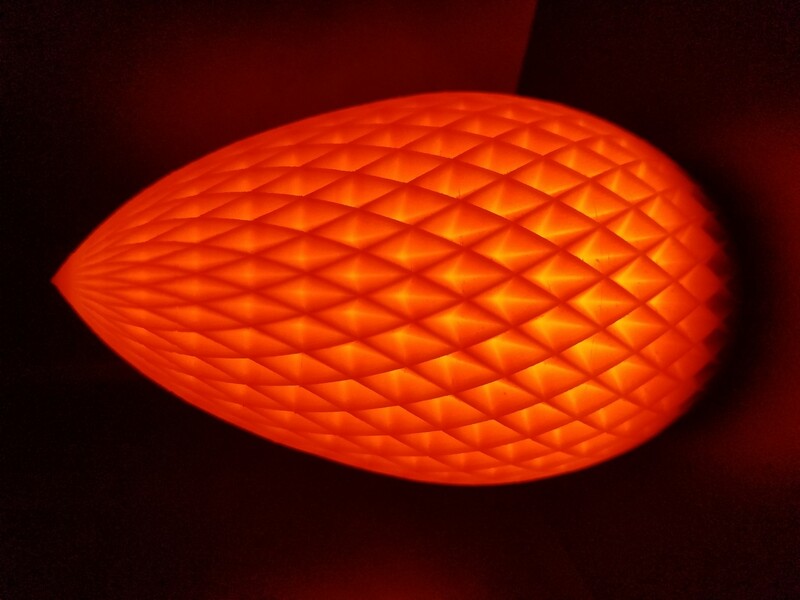 It worked perfectly and really showed off the patterns of the lamp. These are much better then the old plastic body halogens that used to melt after a year or so. One thing I noticed right away - because they are aluminum they get hot all over to the touch and radiate more heat then I expected from an LED fixture. I'm hoping they will last much longer then my old halogen puck lights.